I cracked my morning egg the other morning and saw this. 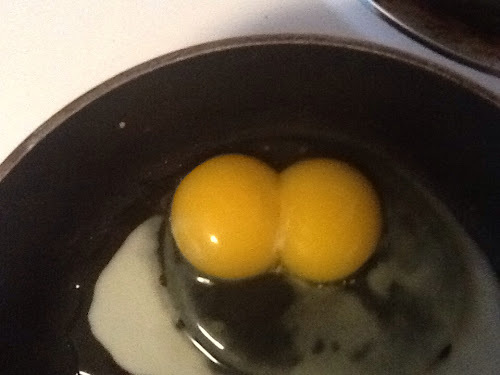 Two yolks to one egg. Rumor has it, this is a rare thing. Then it happen a couple days later from the same egg carton. My Mom says this is more common with first time layers. Have you ever had this happen? Have a Happy Tuesday or whichever day you read this!